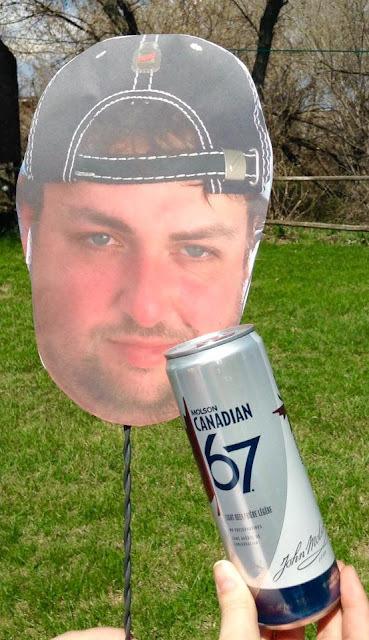 In the next 48 hours, BeerCrank.ca will have its 200,000th visitor. It's crazy! 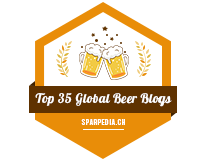 I started 'blogging' about beer in 2005, and 9 years later now I write for a local newspaper and get to talk about beer more than ever! 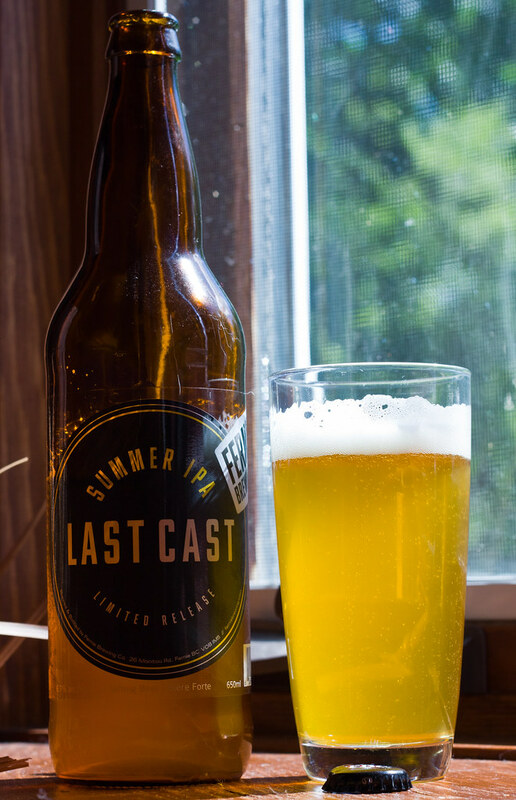 Today's review is Last Cast Summer IPA by Fernie Brewing. I've had a few of Fernie's offerings in the past and for the most I've found their beers to be decent but lacking a bit of a punch. That being said, even if I don't find a beer to be a 5/5, I'll still try almost all their other offerings. I'm a big fan of Summer IPAs as they combine two of my favourite flavours - lemon & citrusy zestiness and piney hops. Heck, Muskoka's Detour is one of my absolute favourite India Pale Ale sessions out there. It's a beautiful sunny afternoon here in Manitoba, no sign of autumn yet but the weather is only going to get chillier from now on, so why not drink a Summer IPA while it's still summer, for now?! Appearance: Last Cast pours a lightly hazy golden straw. Thick amount of off-white foam, a decent amount of foam is sticking to the side of the glass. Nice amount of micro carbonation, this, to me looks like what I think a summer IPA should look like. Aroma: Mmm.. lemon zest, medium amount of pine & alfalfaesque hops to give it a nice bitterness to it. A decent amount of yeastiness to it, reminiscent of Belgian IPAs to a point. Some tropical fruitiness to it like grapefruit. Taste: Tropical fruits, lemon zest, piney hops to give it a nice hoppy balance. Quite a sweet IPA yet features a great deal of West Coast hops to give it a nice hoppy backing. Very smooth and creamy to the palate, yet a bit of a light bitter aftertaste that lingers for a bit. Overall Thoughts: Solid Summer IPA. Reminiscent to Muskoka's Detour, but less tropical sweetness than Detour. I keep walking past this beer because I was broke for the past month, but now that I'm back to work after a few weeks off (and starting a new job), I just had to go out and splurge $6.50 for the 650mL bottle - $6.50 isn't bad at all for a solid citrusy summer friendly IPA. What really surprises me is that this is 6.7% ABV! I would have expected this to be 5.5% ABV tops as it's incredibly easy to drink and probably one of the better IPAs I've had this summer, especially when I'm not wanting a "boat load of bitter hops" in an IPA.